Another little set for the baby boy. The sweater is my favorite baby pattern to knit, so simple and so cute. 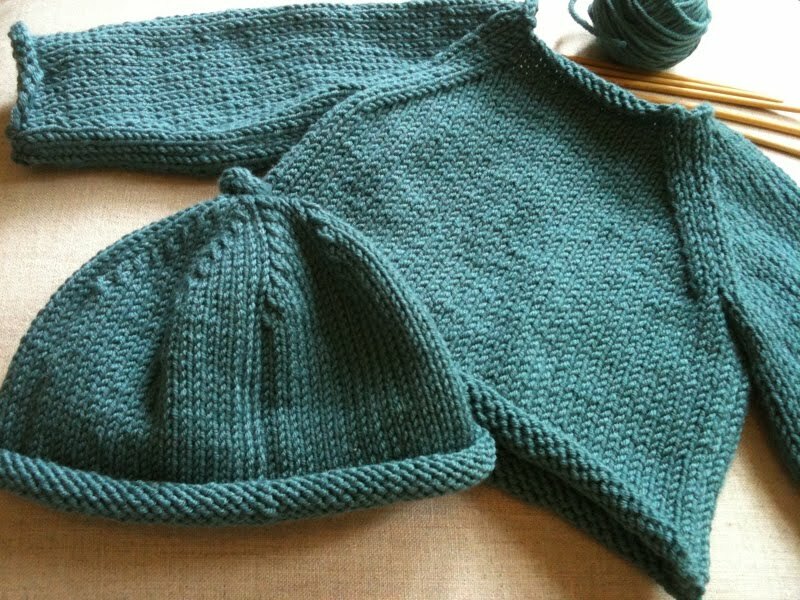 It is from Debbie Bliss' Baby Knits. I've made these for pretty much all the little ones in my life.